Zita of Bourbon-Parma was born on 9 May 1892 in the Reale Villa della Pianore as the daughter of Robert I, Duke of Parma and Infanta Maria Antonia of Portugal. She was given the names Zita Maria delle Grazie Adelgonda Micaela Raffaela Gabriella Giuseppina Antonia Luisa Agnese at her baptism on 11 May. She was the fifth child of her father’s second marriage. From his first marriage, she had 12 siblings, of which three died shortly after birth. From her father’s second marriage, another 12 children would be born, leading to a grand total of 23 siblings. Several of the children from her father’s first marriage were mentally disabled. She would be raised by the Marquise Maria della Rosa, who described her as a lively child with a great sense of humour and a wide interest. She was watched closely by her mother, who emphasised on a good education. Zita’s love of reading began at a young age. Once a year the whole family moved to Schwarzau am Steinpark. Her father ordered a special train to be added to the express train to move his family around the end of June, and they would stay until Christmas. Zita herself described Schwarzau as her true home. She even met her future husband at Schwarzau, although she didn’t remember when exactly she met him for the first time. At the age of 10, Zita was sent to a boarding school in Zangberg, and for the next five years, she only came home during the holidays. Shortly before finishing school, her father died. She returned to school to finish up and continued her studies in 1909 at the St. Cecilia Abbey on the Isle of Wight, where her grandmother Adelaide of Löwenstein-Wertheim-Rosenberg was abbess. She couldn’t stand the weather there and was continuously ill. To recuperate, she was sent to a spa at Franzenbad in Bohemia. Neither she nor the Archduke Charles of Austria had any idea a meeting had been arranged between them. She knew him as a friend from her childhood. When she returned to Franzenbad in 1910, Charles was there again. Zita debuted at the court ball in Vienna on 16 June 1911, where the 81-year-old Emperor Franz Joseph I was the centre of attention. Archduke Charles was by then second in line to the Austrian throne, after his uncle, Franz Ferdinand. Charles’s father had died in 1906. Although Zita followed the etiquette by not dancing all dances with Charles, they certainly danced plenty. Shortly after, Zita was invited by her aunt Maria Theresa of Portugal (widow of Archduke Karl Ludwig of Austria) to visit her hunting lodge with her sister, Francesca. Charles was there also, and it was there that the two decided to get married. The engagement was announced on 13 June 1911. They married on 21 October 1911 with the Emperor as a guest of honour. The Emperor gifted her tiara, which she wore on her wedding day. They spent their honeymoon making brief trips by car from Villa Wartholz and spending three weeks in Austria, visiting the places where Charles had spent his youth. Charles returned to his regiment after their honeymoon and Zita followed him. Their first child was born on 20 November 1912, a son with no less than 17 names. We’ll call him Otto. A second child was born on 3 January 1914; she was called Adelaide. She and Charles had a good relationship with Archduke Franz Ferdinand and his morganatic wife, Sophie. They were informed of their assassination via telegram on 28 June 1914. Franz Ferdinand had not been much loved by the people, and perhaps secretly many were relieved that Charles was now first in the line of succession. No one realised that his death would lead to the First World War. War was declared on 28 July 1914, and official duties as the heirs to the throne began to take over their lives. She also gave birth to their third child on 8 February 1915, a son named Robert. A fourth child was born on 31 May 1916, a son named Felix. Life was to change even more. On 20 November 1916, they received a message that the Emperor’s health was deteriorating quickly. He died on 21 November 1916, shortly after being hoisted into a uniform to receive them. 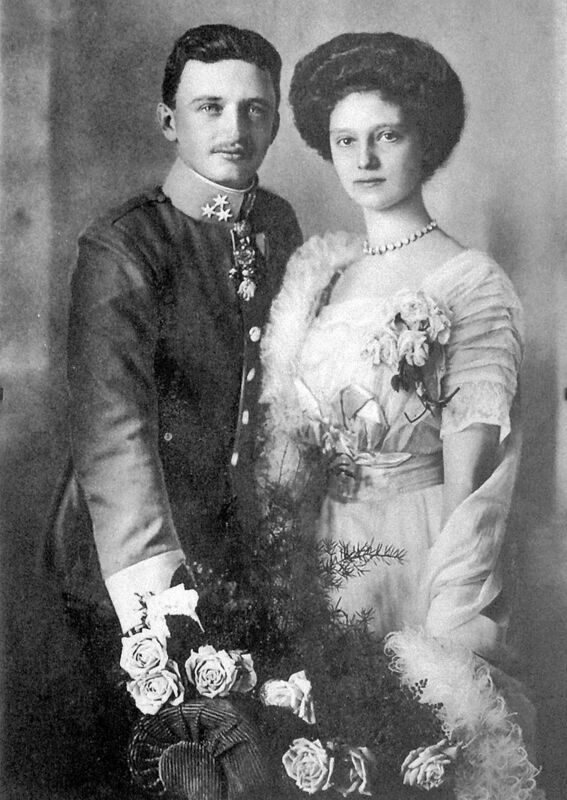 The silence was broken by Prince Lobkowitz, who went to Charles, crossed his head and said, “God bless Your Majesty.” Zita and Charles were now the Emperor and Empress of Austria. Charles spotted the Emperor’s mistress Katharina Schratt who had not been allowed in the room, and he escorted her to Emperor’s deathbed where she placed two roses on his chest. 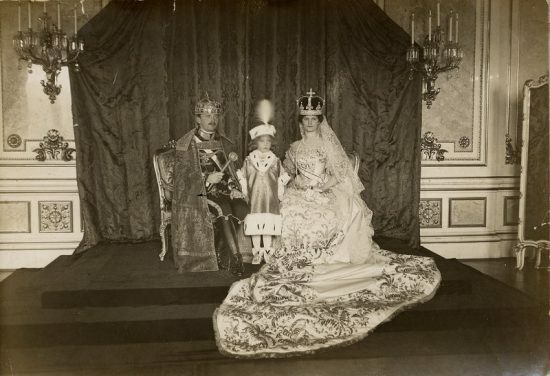 Charles and Zita were crowned in Budapest on 30 December 1916. Zita’s first years as Empress were dedicated to all the problems the war brought. She visited hospitals and met with the sick and injured. She usually did these visits unannounced to see the real situation. Peace came at last at the end of 1918. By then, Zita had given birth to her fifth child, a son named Carl Ludwig. The young Emperor had already had some health problems. The end of the war had come with another high price. The end of the monarchy. The winter of 1918/1919 was spent at the Eckartsau hunting lodge. On 23 March 1919, the family left for Switzerland. The Emperor’s mother, Maria Josepha of Saxony was with them. They moved into Villa Prangins, a sufficient distance from the border. 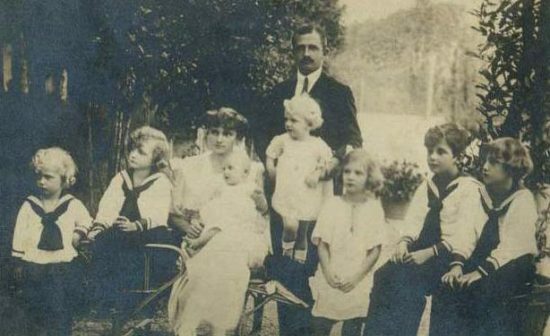 At Prangins, Zita gave birth to her sixth child on 5 September 1919, a son named Rudolf. In Switzerland, several attempts were made to restore Charles to the throne, but none were successful. Zita gave birth to her seventh child on 1 March 1921, a daughter named Charlotte. After the second restoration attempt, Zita and Charles ended up in Madeira. In January 1922, young Robert had to undergo an operation, and Zita used the opportunity to retrieve her children from Switzerland. On 9 March Charles caught a cold, and five days later, he was in bed with a high fever. He refused a doctor, in order to save money. When one finally was called on 21 March, he had pneumonia. The situation was made worse by a congenital heart disease and the turpentine shots the doctor administered. He died on 1 April 1922, with Zita by his side. She was seven months pregnant with their eighth child. He was buried on 5 April in a simple church in their Maria chapel. A very pregnant Zita left Madeira with her children in May for Madrid. At the Royal Palace of El Pardo Zita gave birth to Elisabeth on 31 May. For a while, the family moved around in Spain before settling in Villa Uribarren. Life was not so expensive there, and the climate was healthy. It was a good place for the children to grow up. Zita now saw the raising and educating of her children as her main task in life. She had promised Charles to prepare Otto as well as she could. When Otto eventually went to study in Belgium in 1929, the family went with him, and his siblings also went to school in Belgium. They would live there until 1940 when they were forced to flee yet another war. In 1935, it was decided that members of the imperial family could enter Austria again and some of their property was returned to them. In July 1940 Zita and her youngest child Elisabeth flew from Portugal to the United States. The other children followed. Canada made more sense since the children had attended French language schools in Belgium. The family moved to Villa Saint Joseph. By then, just four of her children still lived with her. After the Second World War, she spent much time travelling between Europe and America. Her first grandchild, Prince Vincenz of Liechtenstein, was born on 30 July 1950. 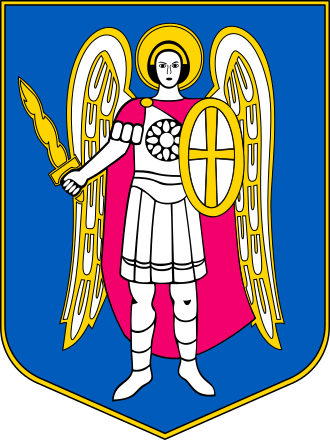 Zita returned to Luxembourg, where she cared for her mother until her death on 14 May 1959. Zita now watched her family grow as her children gave her grandchildren. For her 70th birthday, she received a holiday to Israel, which she visited around Christmas 1962. She also longed to be closer to Austria, and so she moved to Zizers. In the Johannesstrift she had an apartment on the second floor. 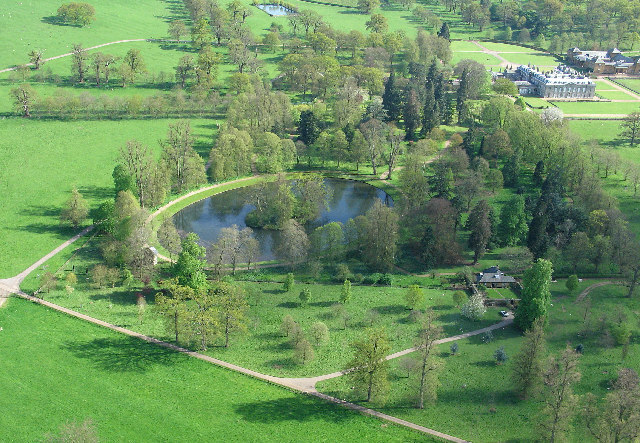 She lived there with her sister, Princess Isabella and a lady-in-waiting. The apartment was small, but all she wanted was one room. When her eldest daughter Adelaide died on 2 October 1971, Zita was denied permission to attend her burial in Austria. She also watched as great-grandchildren were born and grew up. Her later years were marred by happy and sad family events. In the summer of 1988, Zita fell ill with pneumonia, but she recovered. In March 1989, she felt the end was near and called Otto to come see her as soon as possible. On 10 March, Zita fell into a coma, and she died on 14 March 1989. She was buried in the Imperial Crypt in Vienna, home at last.